I've been hearing about this movie for some time now, about how awesome it's shittieness is. Seeing that there's a documentary about it titled "The Best Worst Movie" coming out soon, I thought it was time to have some friends over and check it out. What can I say, it's terrible. There are moments that are amazing, they are so bad. But there's more here that made it unwatchable for me, and outweighed the other bits. BEST worst movie? Not for me it isn't. It's not something I would wanna revisit to bask in it's shittieness. It has no "staying power" as say "The Room" or "Blown Away" (with the two Corey's, their first venture into more "mature" roles). 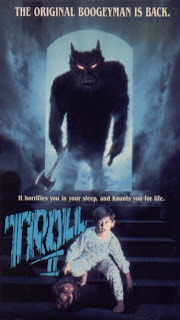 Those two movies I never tire of, i don't find my mind wandering, and I am constantly amazed by. 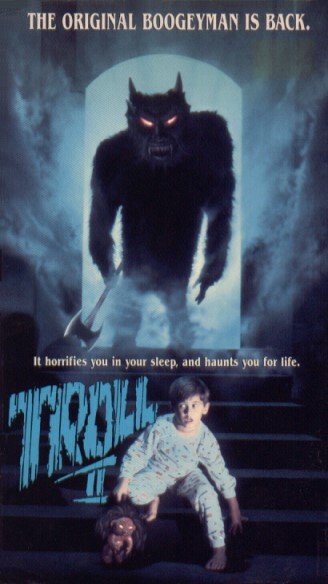 Troll II may be worth checking out just to check it off the list, but I don't get the hype. There's a slew of this kind of bad out there. It just doesn't reach the heights of some others I've seen. But I'm still interested in the documentary.